As the median age of b2b decision makers goes down, the perceived difficulty of reaching and persuading them through marketing goes up. Many marketers raise their eyes to the skies looking for divine inspiration. Do the processes and concepts that have driven success up to now no longer matter? Is it now just an investment in marketing automation that makes the difference? However, there is one element that is brand new – these new decision makers only subscribe to one channel of distribution, and that is the network of me. The network of me is an electronic channel that encompasses several overlapping media: for instance, social (both textual and visual, still and video), SMS, traditional internet, industry news, and more, both ephemeral and lasting. The information that gets through is a carefully curated subset that is specific to the individual, where the lines between personal and corporate are blurred. Each individual is much like the famous Magritte painting that hides a gentleman’s face behind a large green apple. It’s called The Son of Man and was intended as a self-portrait. If you look closely you can see his eyes peeking out between the apple and its leaves. Now, substitute a cell for the apple and voila, your prospect. Your place on the network of me “dial” is earned, and is never secure. However, there are two secrets. The first is that b2b marketing is, and always has been personal. To put your faith in marketing automation as the secret sauce is folly. GIGO is the operative acronym. The second secret is an understanding the individual both as an individual and as a contributor to the corporate decision making process. So how do you understand the individual who is hiding in plain sight? Jumping up and down and yelling may not have the desired effect. Intelligence is the only path to success. 1. Data Analysis. What has the company done before, what have other decision makers in the organization found valuable, what actions has this decision maker taken? An examination of the data brings a critical aspect to our understanding of the whole person, but it’s just them peeking out. We need to know the who and the why of the behavior. 2. Internal Intelligence. Sales has a knowledge of the industry, the players, and the personalities that can’t be found anywhere else. They actually talk to these prospects all day long. BTW (another acronym) when was the last time you or any of the marketing staff spoke directly to and in depth with a prospect? Consider going on sales calls with your sales brethren. 3. Persona Research. There is absolutely no substitute for a carefully choreographed dance with your targeted prospect. Create a prospect persona(s), with sales’ participation, based on new qualitative research. This will validate the data analysis, personalize the internal intelligence, and add motivation to the mix. 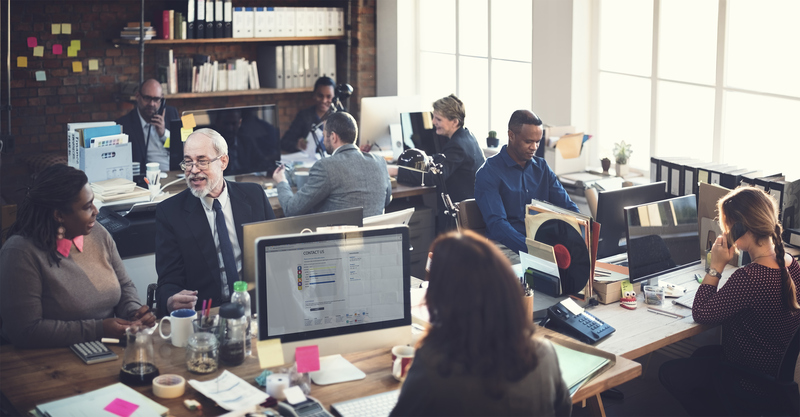 It’s only this professional and personalized methodology that will yield the human insights into the individuals who comprise the buying center, their responsibilities, preferences and foibles. This is a quiet and intricate pursuit, but what you get at the end is compelling competitive differentiator, which is called understanding. Perhaps it’s like the process of building a fine painting. 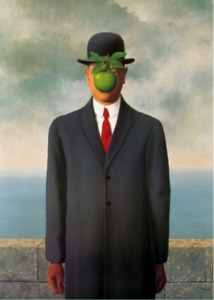 Of The Son of Man, Magritte said, “…you have the apparent face, the apple, hiding the visible but hidden, the face of the person. It’s something that happens constantly.” It is access to the individual peeking out from behind that we seek. And, recognizing the individuality, The Son of Man is within a series: Man in the Bowler Hat, where the face is obscured by a passing bird; and The Great War of the Facades, where a blossoming flowers hide the face of an elegantly dressed woman. A healthy dose of understanding will land you on the network of me.